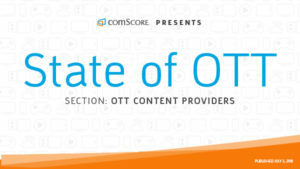 July 23, 2018 | comScore’s new State of OTT report paints a picture of OTT Streaming as a longtail situation, with a few high-reach apps and many low-reach services. 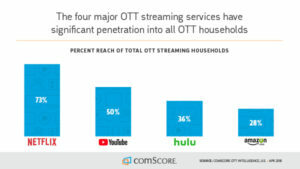 Of the roughly 70 OTT services tracked by comScore, more than 1/3 reach less than 1% of OTT Streaming Households – in absolute numbers, fewer than 600K households using the service. Only 8 services have reach of over 10%, or more than 5.95MM households using the service. Put another way, 47% of all Wi-Fi households used Netflix in April 2018; 32% YouTube; 23% Amazon Video; and 18% Hulu. 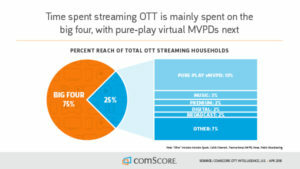 Among OTT streaming households, the percentage using Netflix grew to 73%, followed by YouTube at 50%. 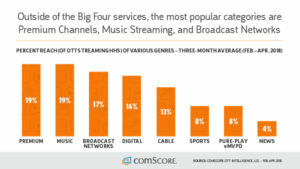 The percent cordless is the percent of households using the service that do not have a traditional pay-TV service (cable/satellite). 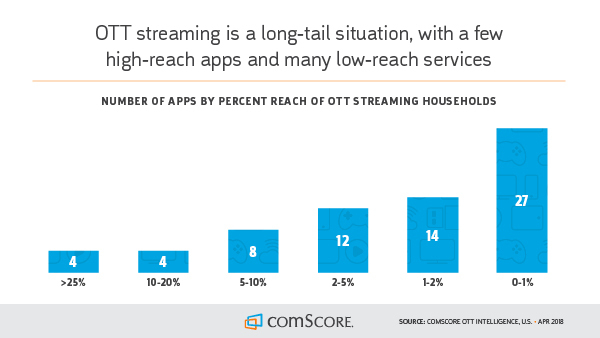 Overall, 34% of households that stream any OTT service are cordless. 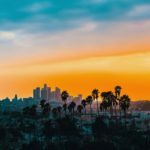 The average total OTT viewing hours per household in April 2018 was 54. 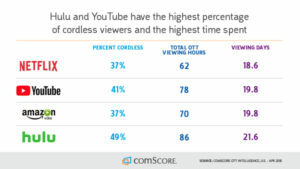 Hulu has the highest percentage of households that are cordless. Households using Hulu also spend the most total time on OTT (note: the hours shown is for all services, not just the single service listed). 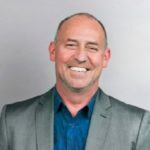 Pure-play vMVPD (virtual Multichannel Video Programming Distributor) – Sling, DirecTV Now, PlayStation Vue, Fubo, Philo. Hulu and YT also offer vMVPD services – these are included in their overall numbers, and in the “big 4” section on this slide. Premium is HBO, Showtime, Starz. 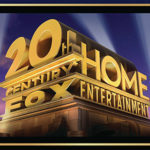 Digital is a variety of services not offered on linear TV such as Tubi TV, Xumo, etc. While only a small percentage of time is spent outside the big 4 and vMVPDs, many categories of apps reach more than 10% of OTT viewers. 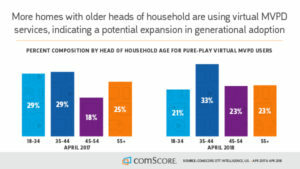 In April 2017, 29% of households using a pure-play vMVPD had a head of household under age 35. 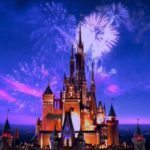 In just one year, that percentage dropped to only 21%, indicating older segments are adopting vMVPDs.